IN THE NEWS November 20, 1979 -The Supremes, sans Diana Ross, are celebrating turkey day with Corbett Monica at the Frontier Hotel and the Sahara kicks off it's 14th Super Sahara Celebration with $5,000 cash drawings every day. Of course, there is always the Folies Bergere at the Tropicana Hotel. 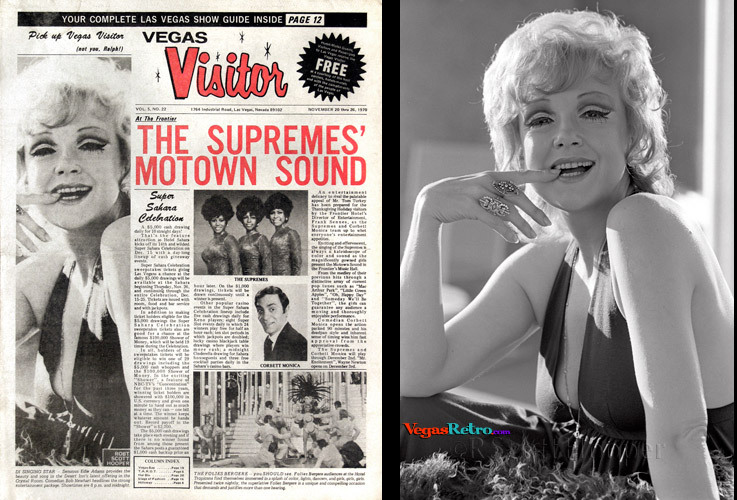 Cover Girl Caption DI SINGING STAR - Sensuous Edie Adams provides the beauty and song in the Desert Inn's latest offering in the Crystal Room. Comedian Bob Newhart headlines the strong entertainment package. Showtimes are 8pm and midnight.